The following information is provided by University of Macau Faculty of Business Administration Alumni Association, posted by the Alumni and Development Office. 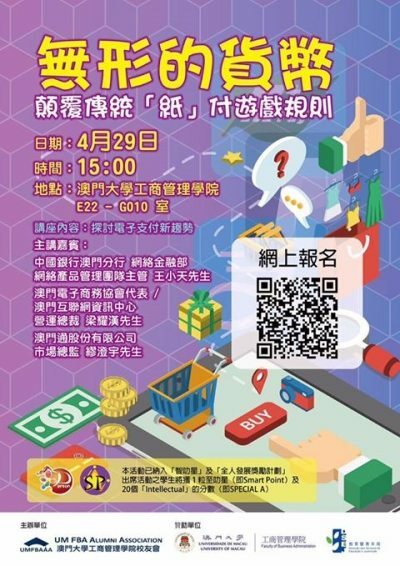 The University of Macau Faculty of Business Administration Alumni Association (UMFBAAA) is going to organize a talk of E Pay- The invisible currency changing the traditional paying rule at E22-G010, 3pm on 29 April 2017. UM alumni and students are welcome to join.